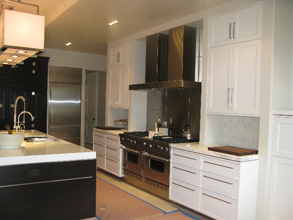 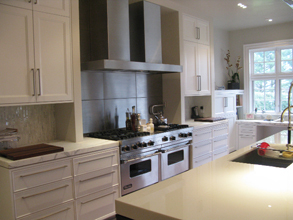 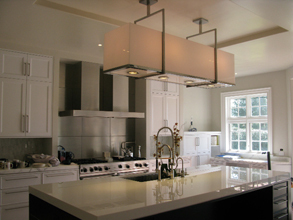 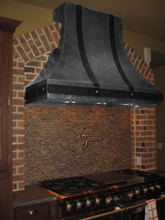 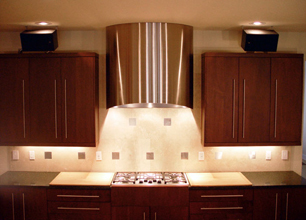 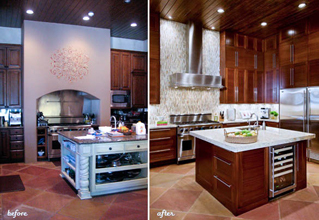 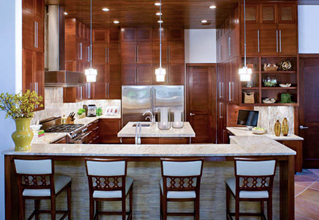 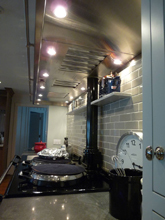 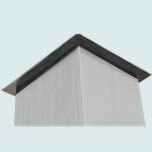 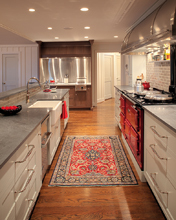 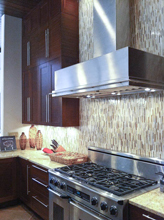 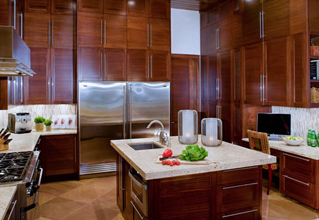 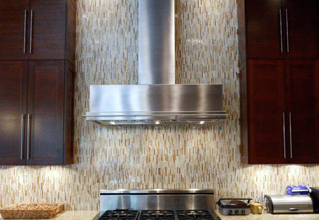 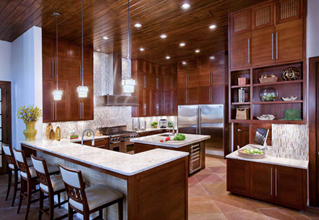 Custom Range Hoods - #4837 | Handcrafted Metal Inc. 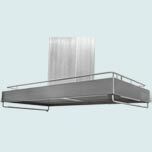 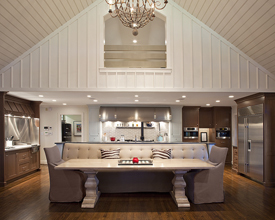 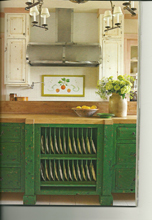 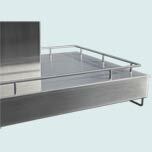 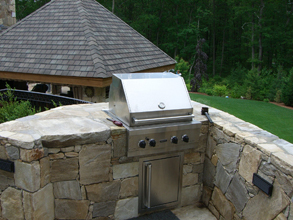 This island hood combines wrap-around pot rails at the top of the hood with hanging rails at the ends. 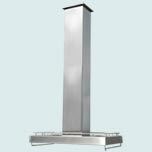 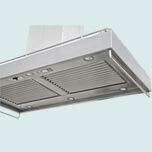 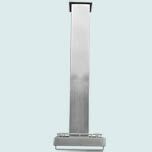 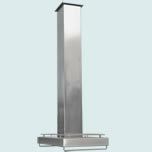 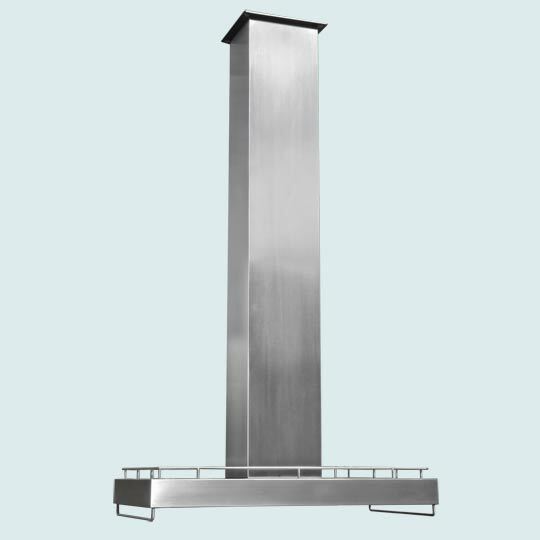 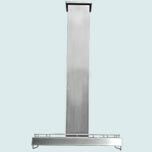 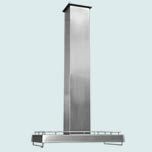 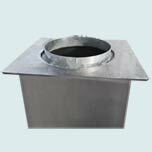 The tall stack has a welded mounting flange at the top for easy installation. 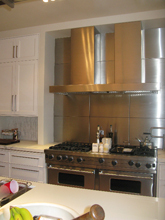 The 16 gauge stainless is fully welded and polished with our micrograin finish.